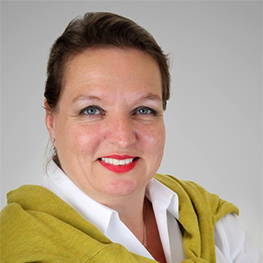 Dr Natalie Schoon, CFA, LLM, is a results driven professional with a broad background across the financial industry. She has lived and worked in Europe, the Middle East, and Asia working with both small and large organisations in the financial services industry. Most recently she has successfully completed a regulatory change project for RBS in the UK covering the submission of permission extensions for the application of IRB Credit Risk models to 2 additional entities of the bank, a full Enterprise Wide Risk wide review of CRR articles related to the risk modelling framework, an assessment of the use of the advanced IRB approach for parts of the mortgage book, a gap analysis on the models in the context of IFRS9 including LDP portfolios, and advised the ICB programme on regulatory approaches. At the Agricultural Development Fund in Afghanistan, Natalie headed up the Islamic financial services section and was responsible for the design, implementation, and management of the Islamic financial services offered which included credit risk assessment, lending procedures, personnel management, and subsequent succession planning. As Head of Product Research at BLME, she was responsible for product development, which included risk assessment, responding to consultation papers from the UK regulators, representing the bank on the All Parliamentary Group on Islamic Finance, the design and implementation of the Bank Operating Model, and engaging with the regulator to complete the application for the banking license. Natalie was the secretary to ExCo and a member of ALCO. Natalie was the COO for GWK Bank in Bahrain, where she was responsible for all operations including treasury, cash management, accounts, regulatory reporting, and personnel, and managed the relationship with the Central Bank of Bahrain. Natalie works closely with the Chartered Institute for Securities and Investment (CISI) in the UK on regulatory workbooks and has recently finalised an advisory role on a World Bank project for mortgage lending in Pakistan and is currently working on a regulatory change project in the context of Brexit..